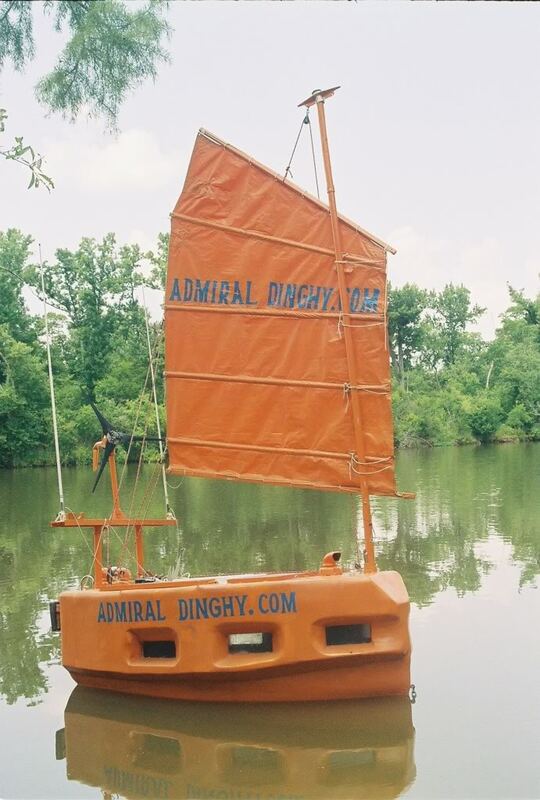 Admiral Dinghy and his RTW Trip in a 9' Dinghy? Sorry if this has been discussed before, I could not find anything online about this guy except his own posts. and to think some people question Jessica's lack of maturity when it comes to making critical decisions on her voyage. Ok, well I didn't post in order to ridicule the guy, I am just sincerely curious about what.the.heck is.this? I mean, is he for real (in that he really intends to try to RTW in this thing). Or is he just a harmless delusional old character. I can't find the link again, but apparently he has spent over $100,000 on the dinghy and its' taken him thirty YEARS to build it. Uh, WHAT?? That think looks like it could be built in a couple of weekends with an old cast-off dingy and maybe $1000 worth of fiberglass and mat. The boat has only been in the water twice; the first time it capsized immediately due to being top heavy (uh duh), and the second time he ripped a hole in the bottom somehow. That is it for sea trials. I am just really curious about this and don't want to bash him if this is something other than a nutjob crazy thing. - - There have been quite a few people crossing oceans in everything from rowboats to the "smallest" boat. Nothing new there. One Frenchman with the last name "Bricka" and of questionable sanity, "walked" across the Atlantic Ocean about a decade ago (+/-). He is in the Guinness book. He started in Europe and used two pontoons rigged with flaps underneath (just like cross-country snow skiers) and towed a auxilliary float behind him that contained his water and food. He made it all the way to about 50 nm or so from Antigua when his supplies gave out and luckily he was spotted by a boat in the area and taken to Antigua. The news article in a sailing mag was titled "One Bricka short of a full load."